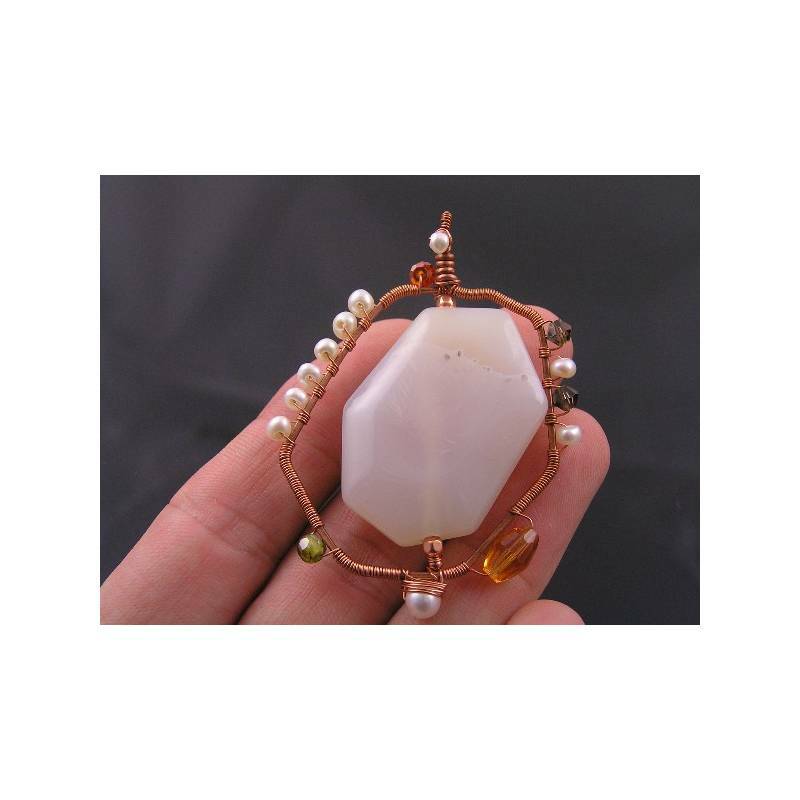 I really wanted to use this fabulous softly faceted Chalcedony bead as a pendant, but I felt that it required something extra: some more colour and additional interest. I hand formed a frame which I wanted to resemble and at the same time contradict the shape of the gemstone. Wire wrapped to the hammered frame are Freshwater Pearls and Swarovski crystals/Cubic Zirconia beads. 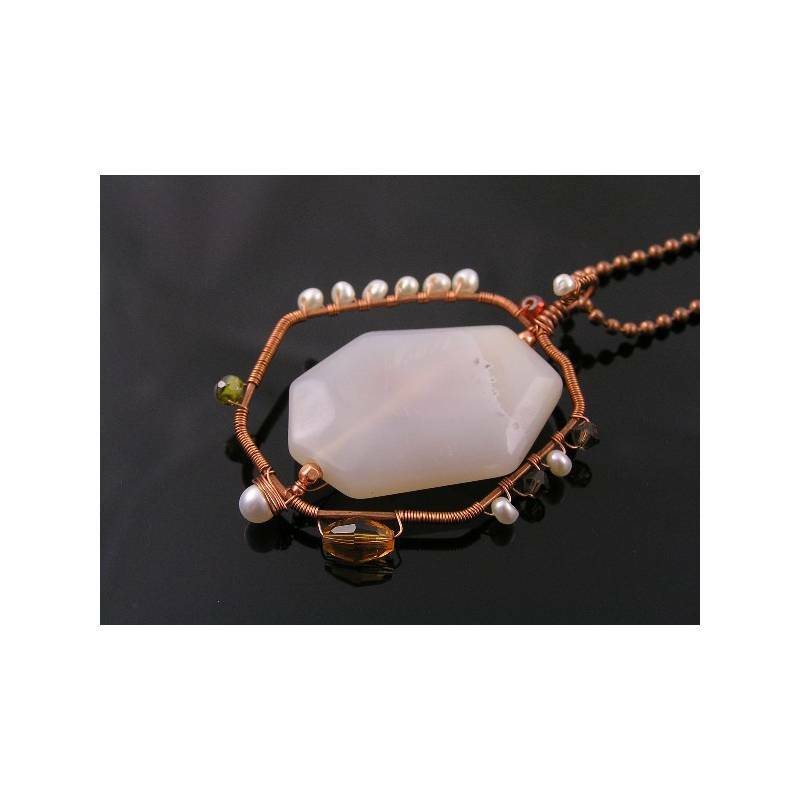 I chose those two because they offer a nice contrast between the smooth soft pearls and the sharply faceted crystals that offer strong colours. 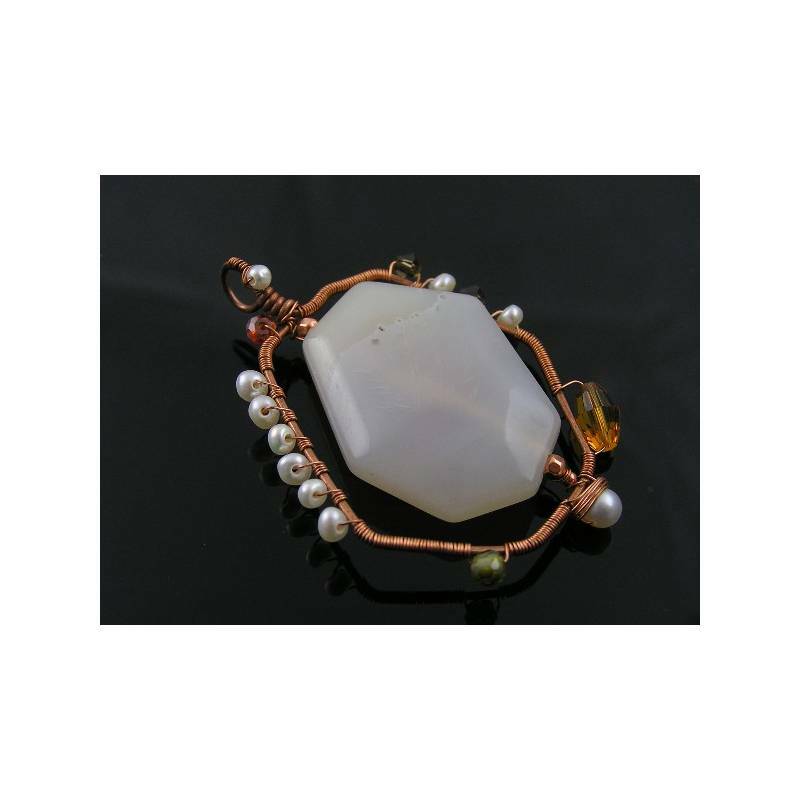 The whole pendant measures just over 6cm high, 4.5cm wide at the widest point. 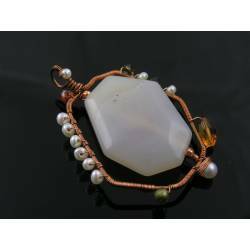 All metal is solid, untreated copper - this listing is for the pendant only. Special discount offers and coupon codes do not apply to sale items. All prices are for the item as is. If you require a change to a sale item, the price will revert to the original value.